While the first women's WrestleMania main event is all but official at this point, WWE still has a huge decision to make about who will be in it. In a sense, WWE is playing with house money. Both options that they have are good ones. Whether the main event is Ronda Rousey vs. Becky Lynch for the Raw Women's Championship or a triple threat between Rousey, Lynch, and Charlotte Flair for the title, it will be the most heated match on the card and fully deserving of its place in the spotlight on WWE's most important day of the year. I have no idea how this issue got done. I had surgery on my left little finger which was broken in three places on 1/30, and it seemingly went well. NJPW - New Beginnings: The two nights together did 10,957 paid with one sellout up from 10,002 last year. Tanahashi & Okada as The Dream Team vs. Jay White & Bad Luck Fale did the same as Tanahashi vs. Suzuki did last year for the IC title but paid was much higher this year for Naito vs. Taichi in Taichi’s hometown than for Kenny Omega vs. Jay White for the U.S, title last year, although both were sellouts. At Smackdown on Tuesday, several talents with contracts coming due were asked to sign new long-term deals after Dean Ambrose told the promotion he wasn’t going to sign a new contract. Ian Riccaboni signed a new contract with ROH to continue as their play-by-play announcer. UFC held a press conference today. The big heat seemed to be between Tyron Woodley and Kamaru Usman, building up their Welterweight Title fight at UFC 235 on March 2nd. Jon Jones is facing Anthony Smith on that show. Conor McGregor will not be fighting Donald Cerrone in April. Khabib still claims he is not fighting for a year. Jose Aldo defeated Renato Moicano, 44 seconds into the 2nd round. First round was very close. But it was the "old Aldo", just destroyed him. Aldo is still talking about retiring at the end of this year. Filthy Tom Lawlor is the new MLW champion defeating Low Ki at their super fight one hour Bein Sports TV special from the 2300 (ECW) Arena in Philadelphia. WWE Raw tonight will be held at the Van Andel Arena in Grand Rapids, Michigan. The key segment will have Becky Lynch coming back to Raw following another invite from the McMahon family based on her actions from last week. Dana Brooke vs. Natalya was also hinted at last week, but was never made official. 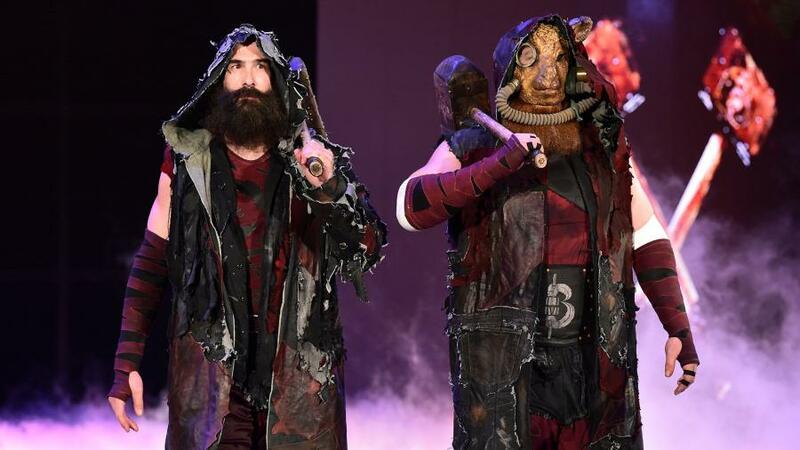 PWInsider is reporting that Luke Harper is slated to be at this week’s SmackDown tapings in Toledo, Ohio. WWE has come to an agreement with SKAI that will air Raw and SmackDown in Greece. Stephanie McMahon is on the latest episode of 3.5 Degrees The Power of Connection. John Cena will be releasing a second children’s book called Elbow Grease vs. Motozilla. Monty Brown, who is best known for his run in Impact Wrestling and a brief run on ECW as Marcus Cor Von, resurfaced at a WWE house show in Saginaw over the weekend. They announced today in a press release that they have been voted Best Sporting Event in the SSE Live awards, which are awards held for those who performed at the SSE Hydro in Glasgow, Scotland. Eva Marie, who was recently voted off Celebrity Big Brother, expressed an interest in returning to the WWE. Riddick Moss talks about the achilles tendon injury that kept him out of action for seven months. A match between the Lucha Bros and the AAA team of Taurus and Laredo Kid is set for MLW Intimidation Games on March 2nd, which will air live on beIn SPORTS. Impact's Moose was a guest on a recent Comedy Suplex Podcart. 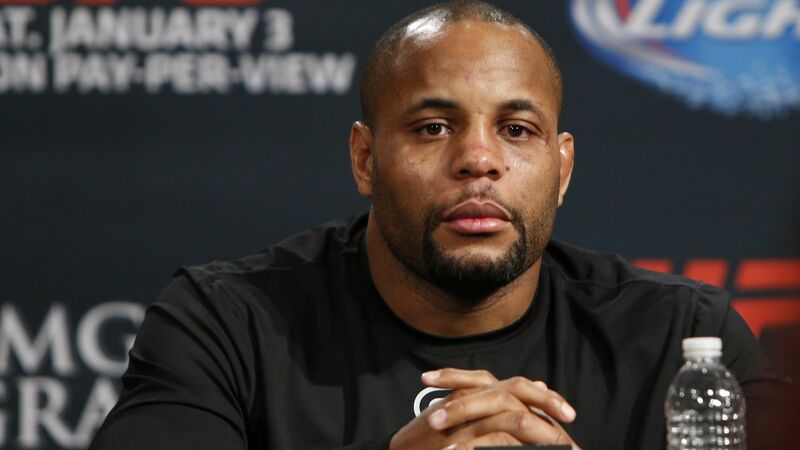 Daniel Cormier is pushing back his retirement date, which was originally set to be on his 40th birthday on 3/20 due to injuries. He mentioned that he would like to face Brock Lesnar or Stipe Miocic when he comes back, mentioning a spring or summer return. Nick Diaz isn’t interested in fighting again after Anderson Silva brought up his name during the weekend. Luis Pena will fight Steven Peterson at Ultimate Fight Night Nashville on 3/23. Happy birthday to Ken Shamrock, who turns 55 today. Sunday, April 6th, at 12:00 pm: Lunch (all you can eat) at Churrascaria Plataforma ($90 per person), located at 316 W. 49th street in Manhattan. Purchase tickets here~!